Star Wars: The Rise of Skywalker trailer is now available and Star Wars fans are trying to figure out just how Emperor Palpatine is back. The maniacal cackle is featured at the very end of the trailer and it shocked fans from all over the world, who were then treated to actor Ian McDiarmid at Star Wars Celebration demanding the trailer roll again. It seems impossible. Darth Vader killed him in Return of the Jedi to save Luke Skywalker's life, so how could he be back all of these years later? Palpatine talked a lot about Darth Plagueis to young Anakin Skywalker in the prequels. According to Palpatine, Plagueis was, "so powerful and so wise he could use the Force to influence the midi-chlorians to create life." At the same time, it was believed he could prevent others from dying, but he couldn't do it for himself. It's entirely possible Palpatine continued studying where Plagueis left off and had it set in one of his contingency plans for resurrection, or even a transfer of his soul to a clone. This doesn't seem very likely since the Palpatine clones from the Extended Universe are no longer official Star Wars canon. Emperor Palpatine might not even really be back in The Rise of he Skywalker. If Kylo Ren loves and worships Darth Vader so much, he could have figured out a way to make some sort of clone or a stand-in, which was already introduced in the Star Wars Battlefront II video game. There have been hints of his return over the years, so this makes sense he would be involved in some way. With that being said, J.J. Abrams says the Resistance is going to be up against their biggest threat, which certainly sounds like Palpatine is back. Maybe he never even really went away. After The Rise of Skywalker panel, J.J. Abrams did seemingly confirm the Emperor's return in the sequel. It is possible that an artifact could contain Palpatine's memories or his personality. Sith holocrons were devices used by the Sith, which were capable of containing information and they were shown in Rebels. There was another one that included an artificial intelligence, which was called "The Presence." It's possible Palpatine has been here all along a directing Snoke from the Unknown Regions through these holocrons. Snoke does seem to have a thing for Palpatine and his ring features the Four Sages of Dwartii. The sages featured on Snoke's ring are Braata, Faya, Sistros, and Yanjon. Palpatine had the statues of Dwartii and kept them as "political accomplishments." Those statues once belonged to Darth Plagueis. There is a lot to take in, but bringing Palpatine back isn't entirely unprecedented. 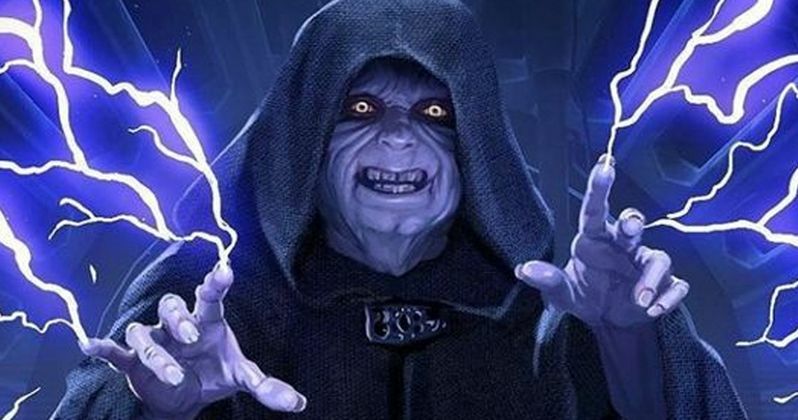 The Rise of Skywalker Emperor Palpatine big reveal comes to from Star Wars.